I read somewhere that words and ideas are big stones in a river. Jumping from one to another you can get to the other side. However, if you always jump on the same ones, you always end up at the same point. The edge of the river is long and there are lots of different flowers. 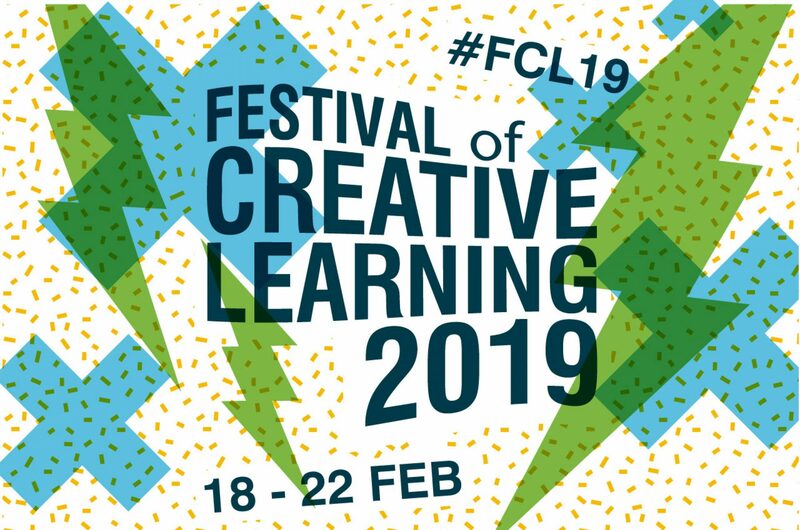 On February 16th, at 10 pm, I arrived in Edinburgh to attend The Festival of Creative Learning. Pulling my bags on the steep streets, the only noise in the city was the little wheels of my luggage. Cloc cloc cloc. All the rest was quiet and beautiful and magnificent. I am currently working as the Communications and Outreach Technician at the Institut de Neurociències of the Universitat Autònoma de Barcelona (INc-UAB). My tasks include, among others, designing activities to share with the general public what researchers do, and helping to establish a dialogue between scientists and society, for a better and more responsible research. I usually look on the internet to find out what is going on in Science Communication and Public Engagement in other institutions, to find inspiration to do my job. That is how I discovered the Festival, which seemed an amazing initiative to me. I contacted Jennifer Williams, Festival Coordinator, and she told me they were open to receive my visit. Thanks to an Erasmus grant and all the help Lucy Ridley, Festival Administrator, Natalie Poyser, Senior Admin Officer – Business Operations, and Jennifer gave me, there I was, ready for new ideas! By ‘new ideas’ I mean two different things. On one hand, they are different solutions to a challenge, using tools that are not the usual ones. It is an excellent new idea to explain what rubisco does through a virtual reality game in which you are the enzyme and have to capture carbon dioxide to convert it into sugar. It must be what creative means. The Festival was full of creative ideas that made me want to know more about the world. I am so grateful to the Institute for the Academic Development for giving me the chance to attend the Festival. I would especially like to thank Natalie for all the paperwork, and Jennifer and Lucy for organizing everything. I could feel all the energy and love they put on the Festival, and I think that is one of the reasons that make the project great. I would also like to thank the people I had meetings with, who shared their brilliant work with me: Dr. Jane Haley, Dr. Heather Rea, Dr. James Howie, Colin Sanderson and Stuart Dunbar. Talking to all of them was very, very interesting for me. I came back home full of vitality and happiness. Everybody had been so generous with me and had put so many new stones in my river- the best souvenir I could ever bring home. Now it is time to explore the edge and smell all these beautiful flowers.